A Diamond Select Release! Sculpted by Gentle Giant Studios! The bestselling Marvel Select line is proud to add to the hit Danger Room subline! 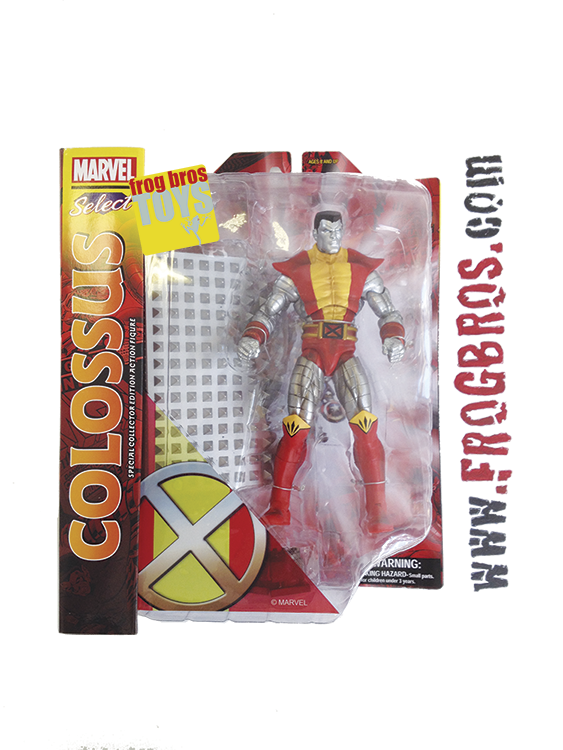 This time the mightily muscled Russian mutant, Colossus, makes his Marvel Select debut in all his oversized glory! Based on the iconic heart and soul of so many XMen teams, the metalskinned mutant comes with the classic robotic vise Danger Room obstacle, in scale with all previous Danger Room accessories! Colossus includes Marvel Selects standard 16 points of articulation and measures over 8 in height. You can combine Colossus base with those of Gambit and Cyclops (each sold separately) to form a Danger Room diorama!